Whether you’re looking for tree trimming and removal services, assistance after a storm or treatments to keep your trees healthy and beautiful, Birch Tree Care is here to help. From the initial proposal request to the final clean up, you’ll receive exceptional service and open, honest communication every step of the way. Fully licensed and insured, our experienced tree care specialists truly care about what’s best for you and your trees. No job is too big or too small! 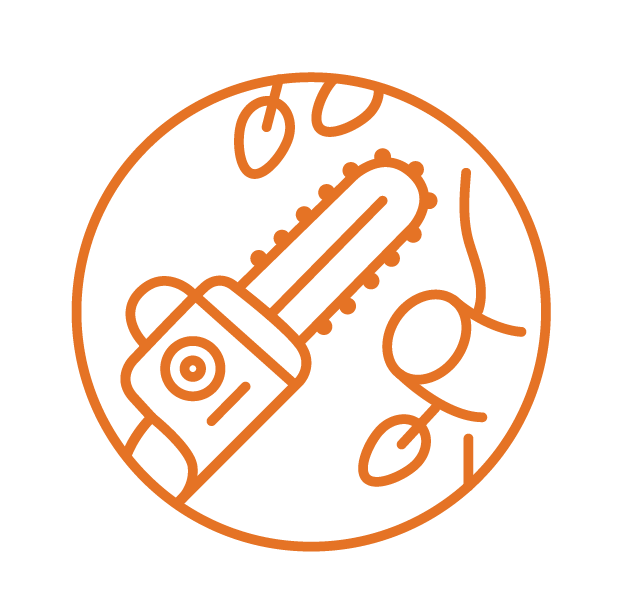 Our experienced arborists will safely remove damaged, dead or unwanted trees from your property. Your trees will stay healthier when diseased, dead or pest-affected branches are removed. Our skilled arborists are experts in tree pruning and will leave your yard cleaner than when they arrived! Tree stumps can be hazardous and take up valuable space. We’ll cleanly remove unwanted stumps so you can enjoy your yard. Keep your trees healthy and beautiful. Our certified arborists will design a treatment plan to help protect your trees from insect infestations such as Emerald Ash Borer (EAB) and Japanese Beetle, diseases such as Oak Wilt and Dutch Elm, and more. Learn about the trees on your property and keep a history of work done. Using GIS technology, we’ll create an interactive map of your property to keep a record of your trees. We’re here when you need us! If you suffer damage from a storm, give us a call at 651-317-4080 anytime day or night. Contact us to talk to a certified arborist today! A locally-owned, family-run business in the Twin Cities, Birch Tree Care believes in professionalism, accountability, openness and honesty. We’ll take care of your yard or commercial property like it’s our own. You’ll be impressed by the quality of our work and our exceptional customer service. We have professional, ISA-certified arborists on staff to provide first class tree care services.